An old drawing from the archives, which we hereby archive here. Drawn with Schaeffer front panel designer. 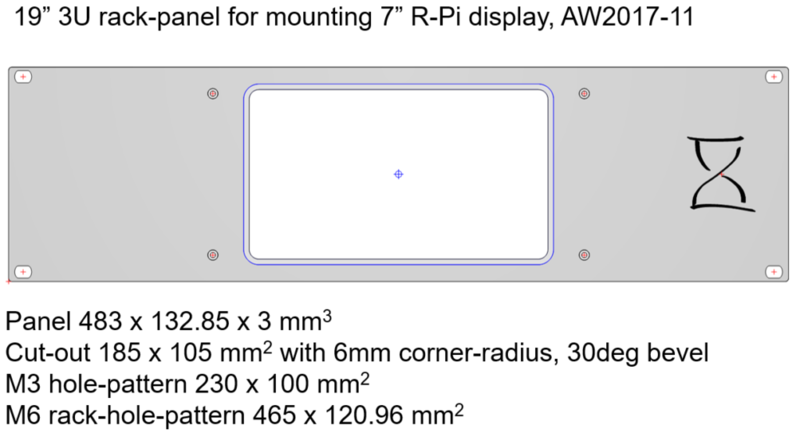 Requires a further PCB-bracket that attaches to the 230x100 M3 holes and has screws that reach the back of the 7" LCD module.